Its May market week in New York which is truly a great time to see how our stores are feeling about our product and to hear how retail in general is doing. It’s always truly fascinating to listen to our buyers talk about business. It’s what we love. 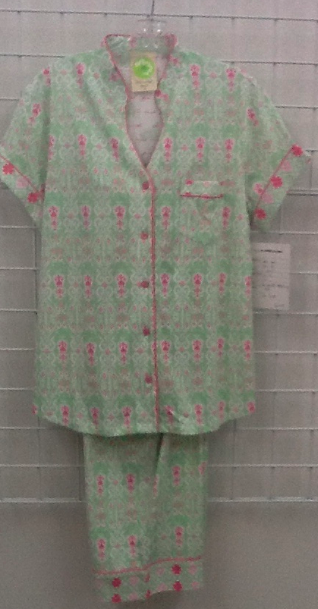 Just had to share one of my favorite items we are showing this market is our gorgeous White Orchid Ikat print pj. It is just delightful, and I cannot stop looking at it!